Car Hire, Car Hire Wigan, Buisiness Contract Hire and Lease Cars, Car Hire and Business Lease Wigan, Standish, Leigh, Bolton, St Helens, Warrington. If you are looking for a car to hire or rent for personal or business use in Wigan, Leigh, Bolton, St Helens or Warrington look no further than Westwood Car Hire. We now have a range of cars for hire for personal and business use, with a selection of Ford, Fiat, Vauxhall Citroen and Mercedes cars available for hire, including A Class, C Class, Mondeo, DS4, 500 and Insignias for private or business use on short and long term contracts with a range of offers available for midweek and weekend car hire. In Wigan and surronding areas Westwood is your local, independent car hire company providing daily and weekend car hire rates for private or business use. We offer a wide range of rental cars and vehicles, including small hatchbacks, executive saloons, MPVs, and commercial vehicles. Locally we provide car hire and rental services to customers in Abram, Appley Bridge, Ashton-In-Makerfield, Billinge, Blackrod, Burscough, Clayton Street, Gathurst, Hindley, Hindley Gree, Ince-In Makerfield, JJB Stadium, Lancashire, Leigh, Orrell, Parbold, Shevington, Skem, Skemersdale, Standish, Wrightington. If you live further afield our special hire and rental offers mean that it’s well worth-your-while to contact us, as we can offer car hire for personal or business use at very competitive rates. So if you live within a twenty mile radius of Wigan ie Leigh, Warrington, Bolton, St Helens or Chorley than give us a call. Business Users including the Self Employed, Partnerships and Limited Companies can now take advantage of our specialist car hire and vehicle leasing. We are able to offer an alternative to conventional contract hire schemes, if you need a lease vehicle for between 28 days and 12 months we provide a varied choice of cars and vans from different manufacturers, and because we hold a large amount of fleet, we will always have a Car or Van available for you to hire. Westwood for Executive Car Hire, Luxury Vehicle Rental, Prestige Vehicle Hire, Company Car Hire, Business Car Hire, Contract Hire Business Lease, Monthly Car Hire, Long Term Vehicle Hire, Car And Van Hire In Wigan, Ashton In Maker field, St Helens, Leigh, Lowton, Bolton, Lancashire and Greater Manchester. Westwood Car And Van Hire, Wigan, Provide Executive Luxury Car Hire and Lease whether you are looking for Weekly Vehicle Hire, Monthly Vehicle Hire or Long Term Vehicle Hire for you in Wigan, Leigh, Bolton, St Helens, Warrington, Chorley, Lancashire, Manchester and Cheshire. Need advice on which vehicle to hire? Call now! I’d like to thank the team at Westwood Motor Group especially Emma who arranged my vehicle. The service was outstanding from start to finish. I had the exact car I was looking for all arranged within days. I can not recommend this company enough, the staff were very information and friendly. I was made to feel very welcome. I was very excited to collect my vehicle and the team enjoy the excitement with me. A fantastic company….from the initial enquiry right through to dropping the van back off. The price was very reasonable, vehicle was fab and perfect for what I needed…(I hated taking it back…😬🙂) and the staff were all extremely helpful and polite….especially Emma, the rental manager. Excellent service and price. Great customer relations from Bethan on front of desk. Would highly recommend. Many thanks. brilliant service and I highly recommend this company…bought my new van with no fuss or stress at all… got a great deal and my van runs superb. thanks Steve ! Great company full of great people – would recommend to anyone and have done, many many times. Excellent, personal service from people that care about what they do and have a real passion for their business – you won’t go wrong here! I have known this company, the owner, and many of those who work there for 10 years and they are very very good at what they do. Hired a few vans from Westwood, I always get a spot on service, the vans are always perfectly clean. The people are friendly and professional, there are no scare tactics to upsell like other rental companies. I wouldn’t hesitate to recommend them! Couldn’t ask for better service from the moment I entered Reception to returning the van. Stephanie was excellent in her customer relations. we will definitely be returning here for our next van. Used Vans are available for sale now from Westwood Vans Wigan, the first choice for anyone looking for vans for sale in Wigan. You’ll find great deals on used Transit vans, used Caddy or Sprinter Vans, used Vivaro vans, or used Trafic and Master vans for sale in Wigan, so make Westwood Wigan Vans your first choice. Westwood Vans is a used van dealer in Wigan which offers the ultimate in choice of second hand vans for sale in Wigan. With a huge variety of over 100 used vans to choose from Westwood Motor Group (Westwood Vans Wigan) is the number one name locally for second hand vans for sale in Wigan. Westwood Vans specialise in van contract hire and leasing in Wigan. You can choose from a wide range of premier brand vans available on business finance (contract hire or business lease). We can supply any make or model including Ford, Volkswagen, Mercedes-Benz and Vauxhall vans as well as finance new or used vans for sale in Wigan. In addition to Van Sales, Westwood specialise in Van Rental and Car Hire in Wigan. Westwood is known locally as the name to trust for the bset deal on van rental and car hire in Wigan. 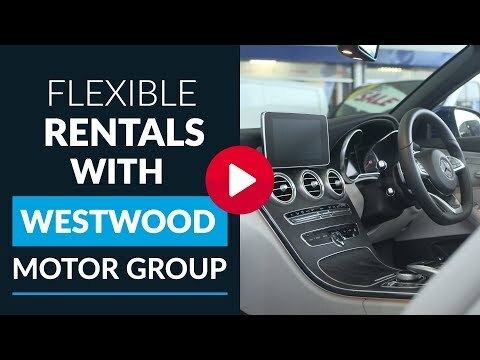 Westwood Motor Group are renowned amongst local business and private customers as the first choice vehicle rental and hire specialists because of the high levels of customer service, attractive rental rates offered to customers and choice of vans and cars available for rental in Wigan. If you need to know more about Westwood Vans Wigan or to contact us please click or call 01942 825 857 for more details. Westwood Motor Group are authorised and regulated by the Financial Conduct Authority (FCA No 650089) for insurance mediation and consumer credit activities. In arranging finance we act as an independent credit broker and deal with several lenders.